Independence Day Aane Wala Hai. 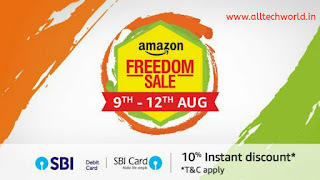 Or Isi Ke Chalte Amazon Par Amazon Freedom Sale 8 August Ko Raat 12:00 Se Shuru Hone Wali Hai. Is Sale Me Smartphone,TV, Fashion Products Etc Saste Me Available Honge. Sath Hi Amazon Ne Is Sale Me SBI Bank Se Karar Kiya Hai. Jiske Tehat Aapko SBI Ke Credit Or Debit Card Use Karne Par 10% Discount Diya Jaega. Or Sath Hi Kai Products Par Apko EMI Ka Option Bhi Milega. Amazon Freedom Sale Me Apko Smartphone Par 40% Tak Ka Discount Milega. Amazon Freedom Sale Me OnePlus 6, Realme 1 6GB Honor 7X, Moto G6, Samsung Galaxy Note 8, Samsung Galaxy On7 Prime, Vivo Nex, Nokia 6.1, 10.or G, Oppo F5, LG V30+, Oppo F7, Huawei P20 Lite, Honor 7C, Moto E5 Plus, Ke Sath Or Bhi Kai Smartphone Exchange Offer Par Milenge. Wahi 9 August Ko Samsung Galaxy Note 9 Launch Hoga. Jo Ki Amazon Freedom Sale Me Pre-Order Ki Liye Available Hoga. Consumer Electronics Products Par 50% , Laptops Par 25,000 , Digital Camera Par 55% Or TV Par 40% Tak Ka Discount Diya Jaega. Amazon Freedom Sale Me Power Banks Par 75% , Mobile Covers Par 80% , Charger Par Apko Kam Se Kam 50% Or Bluetooth Devices Par 20% Tak Ka Discount Milega. 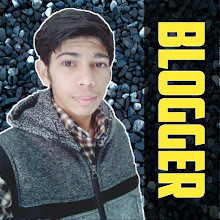 Mobile Phone Or Computer Accessories Par Aapko 40-60% Tak Discount Milega. Earphone Par Apko 60% , Smart Watch And Fitness Tracker Par 40% , Printer Par 45% Tak Discount Milega. SD Card, Pendrive, Hard Disk, Networking Devices Or Bluetooth Speakers Par 50% Tak Ka Discount Diya Jaega.